The Birell Prague Grand Prix is a charming evening race with a mysterious atmosphere in the historical Prague city center. During the first weekend of September Prague, streets are full of thousands of runners and spectators alongside the race course. The first race is aladies only affair. The adidas Women’s Race 5 km starts on Republic Square and continues over the bridge to the other side of the river. When the sun sets, the next race starts. 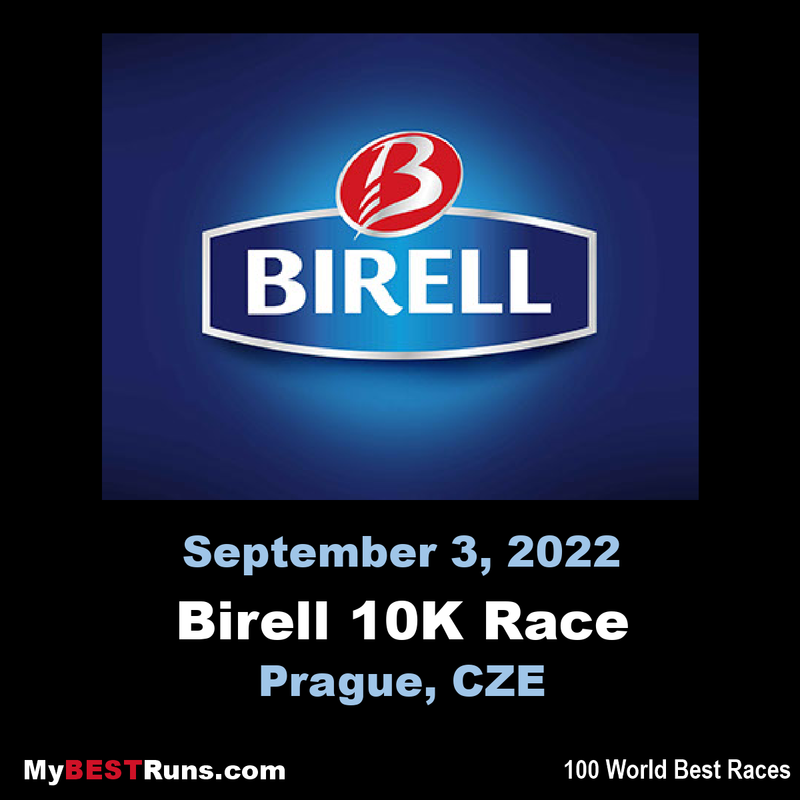 The Birell 10 km Race is open to all runners, both men and women. Feel the truly unique atmosphere of Prague at night! 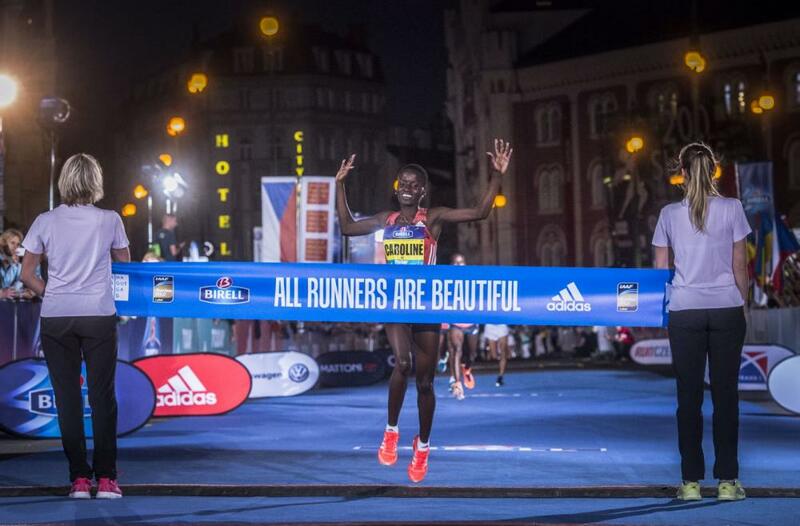 This event lets runners experience Prague at twilight, when the city is at its magical, mysterious best. The women’s run celebrates the power and beauty of sisterhood. The 10K that follows unites all runner of all levels in a fun, fast romp through the beautiful Czech evening. If you set a world record here, you will be paid 3,000 euros for the win, 2,000 euros for breaking the course record, 5,000 euros for a time bonus and 20,000 euros for the world record. That's 30,000 euros or $36.000US. Wow, not only is this the fastest 10K course in the world, it looks like a really fun race. I really want to run this one day. (2018) 18-year-old Rhonex Kipruto from Kenya runs 24:46 Saturday evening at the Birell Praque Grand Prix. This is the second fastest-ever road 10k, while his compatriot Caroline Kipkirui moved to third on the women’s world all-time list. Phonex Kipruto – who was third in Prague last year in 27:13 and then ran 27:08 in New York before claiming the world under-20 10,000m title in Tampere – clocked 26:46 for a dominant win. It was a Kenyan top three as Geoffrey Koech ran 27:18 in second and Mathew Kimeli 27:26 in third. A total of 11 athletes dipped inside 28 minutes. 30:19 ahead of Fancy Chemutai (30:22) and Diana Chemtai Kipyokei (30:23) to complete another Kenyan clean sweep.